Drive home a new or used car, truck, van or SUV that’s perfect for your budget and lifestyle by working with the auto financing professionals at Sycamore Chrysler Dodge Jeep RAM. 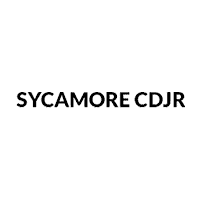 Whether you’re a first-time car-buyer or you’ve been buying from Sycamore Chrysler Dodge Jeep Ram dealerships for years now, you’ll receive an exceptional experience from start to finish. We’ll explain the main differences between buying or leasing a car, and we’ll make sure to find a new Ram, Chrysler, Dodge or Jeep with monthly car payments that make sense for you. When you’re ready to finance or lease a car, come talk to the experts at our Jeep dealer in Sycamore, IL! Sycamore Chrysler Dodge Jeep RAM finance specials and Jeep lease offers allow you to save big on your favorite models. Check our national Chrysler sales and Dodge finance incentives to get a new car for a great price, and make sure to view special programs like our Jeep military special to see if you qualify for more savings. Come buy a new or pre-owned car at Sycamore Chrysler Dodge Jeep RAM!